Today’s network edge is increasingly taking on a critical role in connecting users to the digital content and web services that they need to reach. This is driving a new approach to load balancing that starts at the edge. 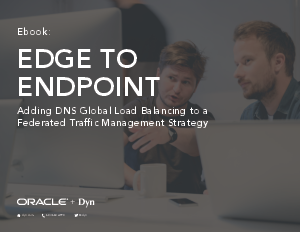 Powered by DNS, edge-based global load balancing (GLB) steers user traffic to destination endpoints based on IT-defined policies. GLB works independently or in concert with site-based, or on premises, load balancing technologies in a “federated” system. This approach applies load balancing and traffic steering policies at each layer from the user edge to the host—whether virtual or physical—where the request is actually served.